You want to replace your car, truck or SUV but can’t afford a new one. Some 38 million people purchased used vehicles last year, about a third from franchised dealerships. 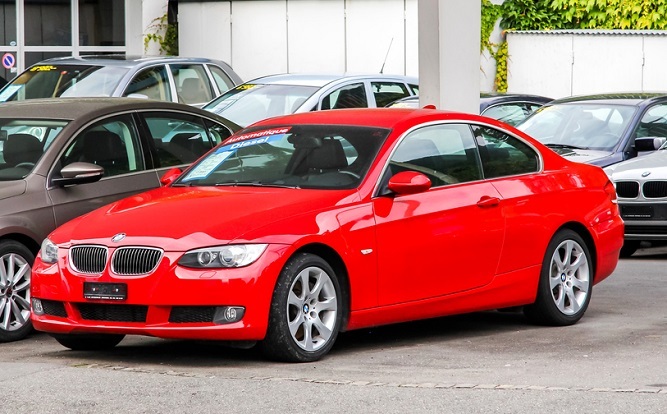 Some of those – about 2.5 million – purchased certified pre-owned (CPO) vehicles. So, should you be shopping for a CPO vehicle? BMW 3-Series a standout among luxury vehicles. “New cars can be expensive, particularly if the desired features are only included in higher trim packages,” said Brian Moody of Autotrader, a popular vehicle-shopping website, referring to average transaction prices for new vehicles somewhere north of $30,000. However, buying a used vehicle isn’t necessarily the perfect answer for some shoppers, either, because “used vehicles can sometimes fuel uncertainty about reliability,” Moody suggested. “Cost-conscious shoppers will find that certified pre-owned vehicles are a great bridge between used and new cars – offering the peace of mind they want with a price tag they can afford,” said Moody, referring to manufacturer-backed warranties and pricing somewhere between new and non-CPO used. So, Autotrader came up with a list of 20 “must-shop” CPO vehicles, 10 luxury, 10 non-luxury, based on criteria encompassing price, safety rating and warranty details specifically geared to different buyers. General Motors landed four vehicles on the two lists from its Buick, GMC (2) and Chevrolet brands, while Volvo earned two spots on the luxury list, Toyota and its premium brand Lexus each placed on one list. Standouts in this category in alphabetical order are 2014-15 Chevrolet Impala, 2012-15 GMC Terrain, 2011-14 Honda Odyssey, 2013-15 Hyundai Santa Fe, 2014-15 Kia Soul, 2014-15 Mazda6, 2014-15 MINI Cooper, 2013-14 Nissan Pathfinder, 2013-15 Subaru BRZ and 2011-14 Toyota Tundra. Criteria for non-luxury CPO vehicles comprised a retail price of about $35,000 or less, a manufacturer-backed certified warranty, similar look to a current new vehicle, a minimum of five years or 100,000 miles of powertrain coverage included in the purchase price, an overall federal government safety rating of at least four out of five stars, and a warranty deductible of $50 or less. Standouts here are the 2014-15 Acura MDX, 2012-15 Audi 6, 2012-15 BMW 3 Series, 2012-15 Buick Verano, 2014-15 GMC Sierra 1500 Denali, 2013-15 Infiniti JX35/QX60, 2014-15 Lexus IS, 2013-15 Lincoln MKZ, 2012-15 Volvo S60 and 2012-15 Volvo XC60. The criteria for luxury vehicles were similar to non-luxury vehicles, except for a retail price of about $50,000 or less and an overall government safety rating of five stars. “Luxury and non-luxury consumers want and expect different things, and we took that into consideration when coming up with these benchmarks,” said Tara Trompeter of Autotrader. See Autotrader’s non-luxury and luxury lists for more details on the 20 “must-shop” CPO vehicles.